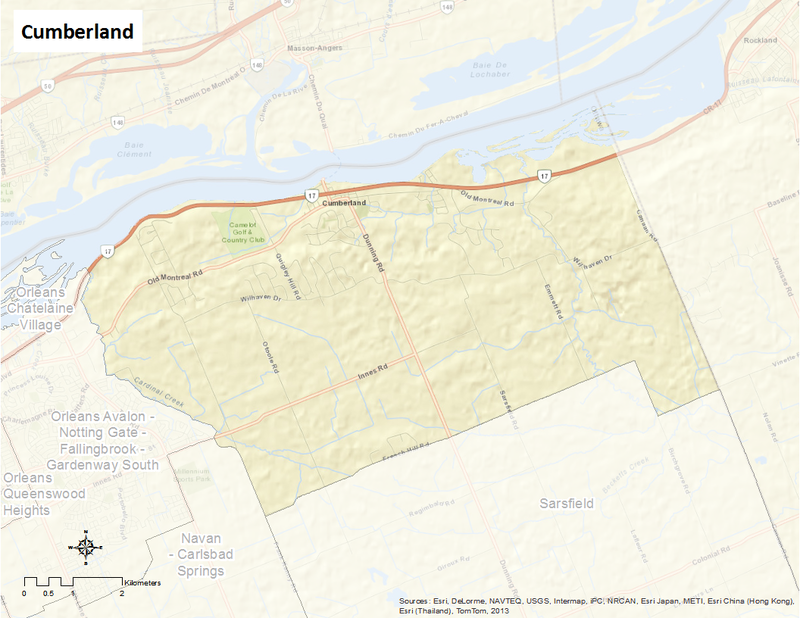 Cumberland is bounded by Regional Road 174 and the Ottawa River to the north, Colonial Road to the southeast and Innes Road to the southwest, and Trim Road to the west. The eastern boundary continues to the boundary of the City of Ottawa. This community is considered to be a large village that was part of the historic Township of Cumberland. While it may be confused with the short lived City of Cumberland, the community of Cumberland became part of the eastern part of the City of Ottawa in 2001. Here’s an infographic that describes the neighbourhood as a Village of 100 (2011 data).